Vietnamese martyrs canonized by Pope John Paul II in 1988.
dehydration on a forced march into exile. of supernatural powers on the part of these saints. Andrew is literary license on my part. into the heart of a modern day conspiracy. The sound echoed off the sterile walls. man moved ever forward, single-mindedly pursuing his objective. as it connected with the corridor floor. through the halls, unblinking and unforgiving. And yet the man moved on, untouched by the cold, cruel glare. trickling out almost stingily into the bright, white hall. The *renowned* Dr. Nicholas Braden. He’d walked this plane many times, borne many names. And most recently, Dr. Joseph Mengele. had realized the power in chemistry, in physics, in biology. The power in cold, cruel steel. and festering as he wrapped it round himself. scuttling back to avoid the man’s attention. This was what it was all about. This was what he craved. weak and frightened little people that walked this plane. And soon, very soon, his power would grow. It was the poverty that got to him. as young as eight or ten. But still, it was the poverty that struck him most. Would babies be left to die if there were enough for all? care for all the children they had? if there were money for the doctor? It opened his eyes in ways nothing else ever had. But this, this made it all real. and it was still the poverty that got to him. It was the poverty. It all came back to that. In America, people had no understanding of poverty. and radios and telephones and a lot even had cars. And those were the *poor* kids in America. form was soon seated next to him in expectation. his only meal of the day. look of a chipmunk — a very dirty chipmunk. take to a small sibling or to someone sick. the slightest hint of a baby lisp remaining on the sibilants. her to tell him about the bruises. wasn’t sure, but he would serve. That, he knew. no right to, yet had been given freely. It was past time to give back. liking to the peaceful, prayerful man. even when he spoke in his native tongue. It was a common enough expression here in the Mekong Delta. everyone knew who *the holy one* was. My-Tho, he had died from exhaustion and dehydration. 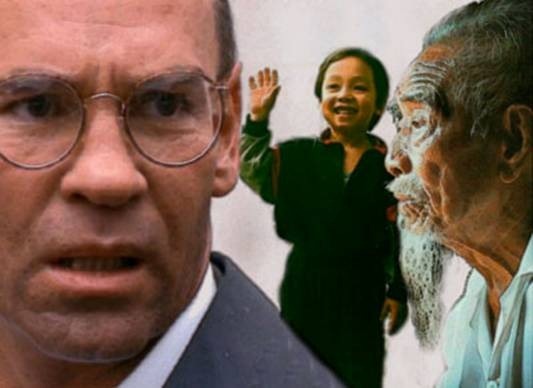 faith in the persecutions of Minh-Mang. place of the holy one. It tore at him — this twin pull in his life. Patriot. damaged land and its people. who could someday be a saint. been able to be in two places at one time. with the atrocities that arose daily. priest, back to the church. thing that would explain the sudden darkness. now, refusing to open again. Moving away, receding into the distance. gave in to the darkness. And in the courtyard, one last sound echoed. November 5, 2002 11:17 p.m.
He’d gone to the gym and worked out this evening. function if he didn’t work out on a regular basis. was calling at this hour? “Yes …” he answered cautiously. tone, and sounded out of breath. “I don’t know who to trust, Walter. I need help. I’ve kept up with your career. I know what you do. and the priest spoke to someone else. “Andrew — wait. “Who’s with you, Father? Tell me what’s happening. T-shirt now, and was strapping on his holster. laughed shakily and the line went dead. white, though it had thinned some in the ensuing years. arms, and waited for an answer. was hard, and his tone insistent. arm, beckoning toward the far wall. and rubbed his eyes behind his glasses, then looked again. Just a boy — young, skinny, slightly hesitant. to his mental description. It was a young Asian boy. known in Vietnam, he was betting the boy was Vietnamese. forward slightly, nudging him until his hand reached. agitated, his head darting back and forth. 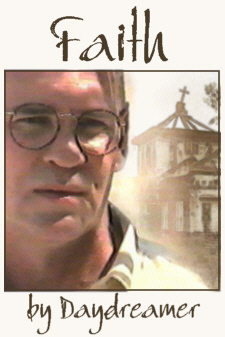 Skinner raised an eyebrow as he studied the priest. “You never knew — you had to get back to your unit. the grave.” He shook his head, sighing wearily. out and the church grew dark. Two shots rang out. of the many votives that lit the racks before the altars. of bright red that followed the priest toward Skinner. “Stop,” Father Madden commanded. “Take Andrew and run. eruption of gunshots in their direction. far end of the pews. tightly, Skinner leapt to his feet and raced forward. Past Our Mother of Africa. Past Our Lady of Peace. He never saw the child turn and stare at their pursuer. He never saw the man drop his gun and turn away. and then, gently, fade away. November 6, 2002 3:34 a.m.
looked down at himself. So did his, for that matter. in — he looked at his watch this time — about 4 hours. information. Hell — he needed help. getting up, starting to get dressed even as he spoke. over at the boy — he needed new clothes as well. Scully.” There was a pause, then, “I don’t know. He moved to the window and stared out over the city. was struck by the beauty of the nation’s capital. park than an industrial state. beauty that would be lost in an urbanized relative. of grass and shrubs that peeked up on every corner. to his right, the National Archives to his left. him to see to it that an old priest received justice. He began to catalog what he knew. The priest and boy were in trouble of some kind. the old man had said? He came from the church. exactly what Skinner would expect. Explanations. November 6, 2002 7:10 a.m.
trying in vain to remove the snarls. “Scully’s waiting in the office,” Mulder reminded them. A short ride later and they were in the basement. and she said so as the men entered. “And you said it was at the bank,” Mulder prompted. danish and reached out hesitantly for the last one. embarrassment as he saw the looks he was being given. “Sorry,” he muttered. “I’m hungry all the time. John the Beloved.” The boy frowned as he spoke. a priest anymore. He told everyone I was his grandson. be a regular kid for a while.” He dropped his head. to the chair and sat, slumping down into its embrace. “I don’t know, Andrew,” Skinner answered honestly. November 6, 2002 1:06 p.m.
waited for the woman to open the gate to the vault. set it on the table. and nodded at the boy’s eager look. “We’re done here. to look at the doors just as Andrew cried out in pain. his eyes because it was too hard to keep them open. grace, the Lord is with you. I want to see another day. I want to walk in the park. I want to see the summer. glowing. “What’s all right?” he mumbled. any longer. “Sleep now,” the boy murmured. November 6, 2002 10:49 p.m.
with the kid? Was he here too? A voice he didn’t recognize called his name. “Mr. know. He’d just go on back to sleep. to someone he knows.” Her hand was on his head again. “Wha’ happened?” He swallowed hard; his throat was dry. “I need to check your reactions,” she said. he could figure out what was going on. But damn! The hand was back at the IV. This was confusing. to push it away again, but met resistance. had the water there for him again. down. Hospital gown. He sat up. Still no pain. own. “Yes, Sir,” Scully replied. Mulder nodded, looking at him quizzically. “We saw you fall, Sir.” Scully touched his head briefly. “The boy was there.” Skinner looked around again. receding as the room snapped into focus. looking at Mulder again, concern evident in her face. next to me. He touched me. He spoke to me. He. as he tried to shake his hand off. around himself. He was blushing from head to toe. bare chest and he pulled the blankets higher. managed not to smile, Skinner nodded approvingly. Skinner raised an eyebrow in question. “The Holy One.” Skinner murmured. “What?” Mulder stopped, turning to look at Skinner. by the bed and took a seat. on his head. “I was hit in the head and passed out. They must’ve thought I was dead.” He shook his head. Skinner leaned back in the bed, closing his eyes. “There wasn’t anything to indicate the boy was a clone. this holy one.” Mulder turned back to look at him. 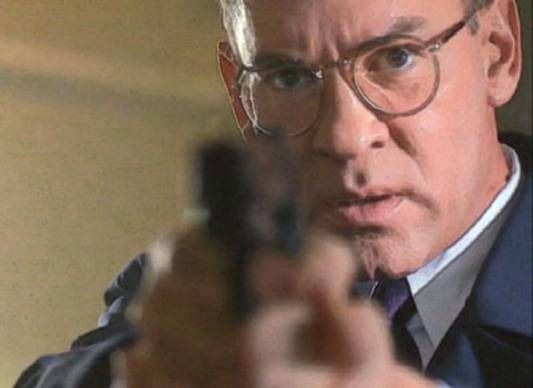 Skinner saw the skepticism on his agent’s face. Skinner just cocked his head and stared at Mulder. November 7, 2002 10:42 a.m.
down in the basement office of his agents. and moved to stand behind her, reading over her shoulder. — was just becoming a reality around that time. from the fall he took — whatever caused it. “Whoa!” Skinner stopped in front of Scully’s desk. pages were torn at random out of some sort of a journal. his boss and his partner. talks about MAPCs –” He looked up. “Start there. to have found his open mind again. Skinner put the page down and picked up another. that allow that kind of — inheritance, shall we say? moved to the desk and taken the paper from Skinner. Skinner rolled his shoulders and leaned back. “He talks about one success.” Skinner lifted the page. a cup of coffee and carried it back to Skinner. then handed Skinner his before putting on his own. November 7, 2002 1:15 p.m.
and there wasn’t anything he could do about it. Andrew closed his eyes and pulled his legs tighter. The man had killed puppies. Little baby puppies. his pants. What kind of insanity was that? cringed back, trying to crawl into the wall. never reached his cold, black eyes. boy to his feet roughly, fingers biting into his skin. beneath the long lashes. He offered up a silent prayer. window, looking at something he couldn’t see. The man looked at Andrew, then pointed at the window. as his legs gave out. Andrew covered his face with his hands and cried. November 7, 2002 3:20 p.m.
eighties who were still employed by the Institute. clenched together before her, and she was sweating. This one has something she’s trying to hide. “Ms. Giametti,” Mulder began, “this is very important. his tongue, and let Mulder work the woman. cover her mouth. Her eyes looked haunted. Mulder narrowed his eyes as he studied the nurse. making eye contact with the AD, and began to fidget. briefly at Mulder, then dropped her eyes again. “Dr. a staccato sound — tap, tap, tap. Skinner and Mulder exchanged a puzzled glance. critical, he might have apologized — or laughed. he forced himself to be still. her hands again, wringing them together. Mulder’s gift of interpretation to see that. But why? and the positions they had held twenty years ago. November 7, 2002 5:27 p.m.
“The man kidnapped a boy from right here in Richmond. what Mulder thought was pain from his head injury. and disappeared down the hall. back into him, tightening her arms around him. November 7, 2002 6:02 p.m.
been pulled loose.” He shook his head in disgust. he surprised? He didn’t expect it to be this easy. for free — in exchange for help with his projects. office and he elected not to try it. still didn’t know where Skinner was. moved on stealthily upward. Third floor — also unlocked. He moved back to the stairwell and went up another floor. prison. He moved to the first door and tried the knob. to point at — Skinner! AD’s glare. “I might ask you the same thing, Sir. Skinner turned his back and started to step away. down behind him in an almost comical parody of a tail. the door, speaking in a hushed tone. Mulder moved to an open area a short distance away. quickly to stand beside Skinner. and he reached out to touch it. arc through the air as he tried to pull back. fire. He hit the wall, crumpled, and didn’t move. Skinner raced across the room, dropping to his knees. studied the man’s torso — he wasn’t breathing. the electricity that bled off Mulder. His skin tingled. two big breaths into the unmoving man’s mouth. back to observe and listen. strain. This couldn’t be the right way to give CPR! with the effort he was making. And still Mulder did not move. Pressed hard against his neck. Skinner’s pants and tossed it toward the boy. Mulder. He administered two more compressions. mouth again, a shot rang out. November 7, 2002 6:40 p.m.
his eyes open and looked up into Andrew’s face. “Are you OK now, Agent Mulder?” the boy asked. Mulder nodded slowly. His chest hurt. His hand hurt. He lifted the hand in question and looked at it. Burned. “Wha’ happened?” he murmured groggily. Tears filled the boy’s eyes. “The doctor shot him. mask of worry and despair. “The doctor is mean,” Andrew announced. “He’s scary. Mulder twisted his head, craning to look at the doorway. his head, pointing at the east stairwell. through — she went low and the other man went high. Scully holstered her weapon and raced to his side. so carefully — on the arm. *his woman* being the nurturer. He shook his head. even thought to ask the boy if he was all right. instruments were bagged and tagged, cameras flashed. of dead dogs down here,” an unknown voice called. he pulled away when Scully tried to embrace him. her arms, he let her. “Thrwrpplto,” he mumbled into her shoulder. was sticky. He smelled blood. the bile from rising in his throat. glance toward the front of the van. but the boy drew further into the shadows. feel good.” He stared at Skinner from his dark corner. November 7, 2002 10:15 p.m.
at the tape.” Her smile softened the words. said, his eyes staring into hers. at the door to see Andrew standing there, smiling. they close?” he asked hopefully. “A horse!” The boy bounced excitedly over to Mulder. and gave the boy a big hug. “That’s great, Andrew! dragged one foot in a circle on the tile floor. shoulders. “He’s not going to get you, Andrew. day,” Mulder said with a smile. “Don’t you worry. November 8, 2002 1:13 a.m.
the other odors in the night air. asleep — or unconscious — somewhere along the line. When the van stopped, and he came to, the boy was gone. and it was still bleeding. Arguments and demands to see the boy had been useless. cuffed and feet secured, it had been a losing battle. of what Braden had used this setup for. deep crease across the bicep, and the blood had dried. as the electrical current threatened to start a fire. lips in little drops of pain. Every breath was agony. the flames of agony in his groin. destroy.” Braden paused and stared at Skinner. is mine! The man jabbed a thumb at his chest. “God gives life, Braden.” Skinner coughed weakly. contradicted as he bragged of his accomplishments. fist, and punched the big man in the gut. of nausea that swept over him. Skinner stopped fighting the nausea and threw up. It had the desired effect. how he was going to get out of this one. November 8, 2002 4:10 a.m.
stuck firmly to his face. in tickling her face as she lay beside her partner. Mulder dropped the glasses and turned to look at Scully. crest of the hill they had used as their lookout point. FBI from the Richmond Bureau waited for instructions. to the left and farthest from the house. as other buildings went up and the flames lit the dark. slightly to the left, and he wore a dazed expression. man as he fell forward, dragging him away from the fire. Mulder shook his head. “Andrew’s back in Richmond, Sir. The AD began to struggle, trying to get back to his feet. November 13, 2002 7:45 p.m.
from his seat on the boy’s bed. window, gazing out into the night. rose and moved to stand behind the boy. “I know I didn’t have to.” Skinner cleared his throat. don’t have to,” he repeated. Andrew shook his head. “You’re talking miracles. You sound like Dr. Braden.” It was an accusation. A cloud blew before the moon and the light faded. handed it to him. “Call me — anytime, from anywhere. awkwardly pulled the covers up. “I’m not very good at this,” he said. Skinner stood staring down at the boy in the bed. should go.” But he didn’t move. The boy lay quietly, waiting. then leaned down and swiftly kissed the boy’s forehead. He turned and stepped quickly to the door. “Walter?” Andrew’s voice was soft. was clear again and Andrew glowed in its light.